Have you ever had your commercial or residential heater, air conditioner, or plumbing system act up at the worst possible time? At Timothy Off, we know how frustrating repairs can be – especially if you’re counting on your heat to keep you warm, your air conditioning to keep you cool, or your plumbing for everyday tasks. That’s why we offer emergency services all day, every day. If you have an issue, simply call 1-610-314-7030. At Timothy Off, we make sure we have a plumber and an HVAC technician on standby at all times to tend to any emergency situations. This means if your air conditioner stops working on the hottest day of the year, a pipe bursts in the middle of the night, or your heater malfunctions right before the holidays, we’re here to help. Our professionals are available 24 hours a day, 7 days a week, 365 days a year, so you won’t have to worry about whether or not you’ll find a timely repair. We use the best tools and equipment and to take care of it for you. 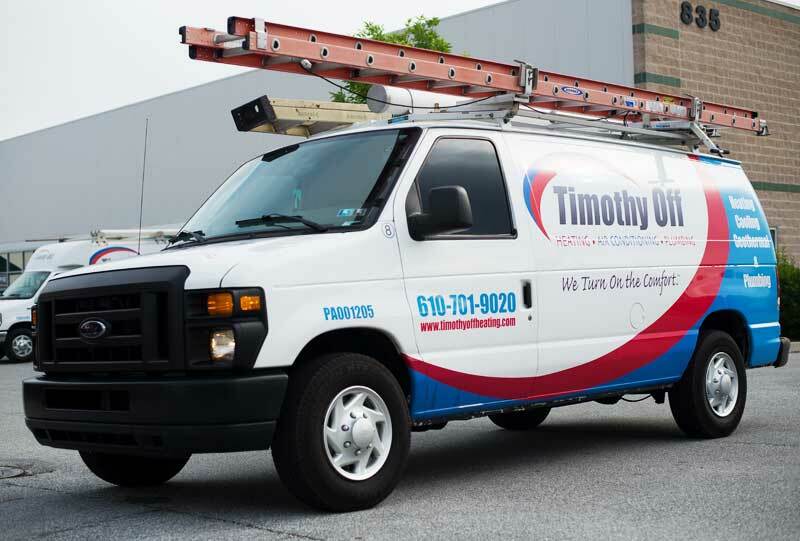 When it comes to service, we stand by something called the “Timothy Off Difference.” Our company is locally owned, certified, and offers only the highest quality products. In addition, we have more than 100 years of combined experience in HVAC and plumbing sales, service, and installation and come recommended by 99% of our clients. When we’re called for an emergency inspection or repair, we’ll determine exactly what the issue is and work quickly to get your system back up and running. We know it’s stressful when something goes wrong, which is why our emergency services are here any time of day or night to make things right. If you have an HVAC or plumbing emergency, call us at 1-610-314-7030 right away to talk to our professionals.